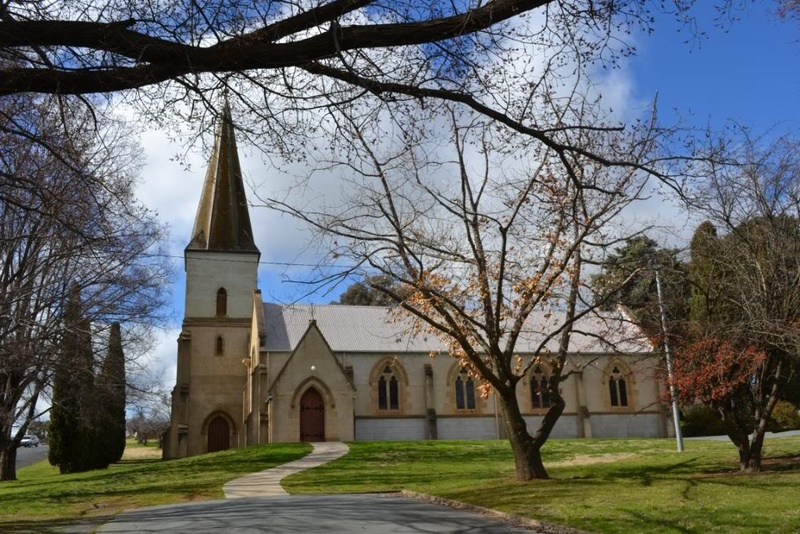 The Saint Clements Yass church building (both the primary single aisle church and the second nave extension of 1879) was designed by Edmund Blackett, who also designed St Saviour’s cathedral in Goulburn. 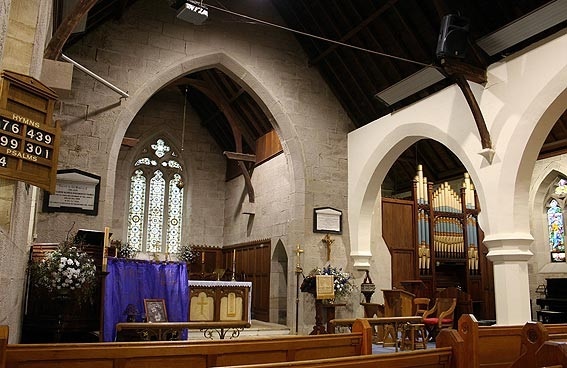 Stained glass windows and internal fittings have been created in memory of loved persons, and parishioners have worked faithfully in many endeavours to fund additional works. There have been several major efforts for the expansion and renovation of St Clements – the initial construction and extension of the church; in the 1940s ahead of its centenary and in 2000 it was the work of many volunteers, and a few paid workers for specialist work which bought about the refurbishment the church. Saint Clements Yass seats about 300, services are held weekly on Sunday and Monday, and is usually open during the day to allow all who wish to take time to contemplate and appreciate the spirit and beauty of this place of worship. 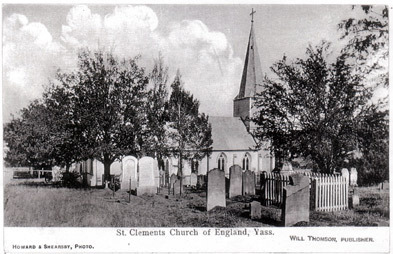 Saint Clements Yass had its first burial in Church of England grounds in 1843. The first burial in the Saint Clements grounds was in 1843, and the graveyard was officially closed in 1868, although there was a final burial in 1965. Our current records show 78 burials in the graveyard. In 1968 a columbarium was established, and there are now 250 interments in 7 sections. Over the years the crowded graveyard fell into disrepair with many headstones fallen and broken. The NSW Conversion of Cemeteries Act of 1974 which enabled cemeteries under the control of councils to be dedicated as public parks and the Parochial Council, of that time, decided to take advantage of it. Some stones belonging to people considered important were retained. A further nine or more were apparently too heavy to be lifted onto the truck and were left in a pile under the drooping pine trees. Please prove you are human by selecting the Anchor.